Sweet baby gherkins! I have gotten way behind on the whole “Being Thankful” thing. This is a lot harder than I thought. Part of it is my participation in NaNoWriMo this month–I say participation though I am way behind on that project as well. Part of it is has been the malaise of sharp weather changes–my sinus cavities are natural barometers. I can literally feel fronts moving in and gauge their force by the power of my headaches. I’m a natural wonder. Fun at parties. Part of it is that as a naturally reticent, easy going kind of guy–I’m having trouble coming up with topics. Not that I’m not aware that I have plenty to be thankful for (I do! I really do! Stop staring at me! )–the question is just whether or not anyone else would find them interesting. So, at any rate, here’s me trying to catch-up (again). Enjoy! Books have been a big part of my life for a long time. I can’t remember a time when I haven’t read. I remember being complemented a lot as a little kid because I could read so well, I was so smart, etc. Books have always been my companions. When I was a kid, my family was not exactly rich. We got by. Looking back, I’m amazed at just how well we did get by. During the school year I would get most of my reading from the school library. We seldom lived anywhere near the public library and both my parents worked most of the time so getting there was often not an option. Sometimes the schools would have book sales and I would actually get to buy some books to keep–it was a real treat. During the summers I would devour every bit of reading in the house–rereading what books I had and anything else I could get my hands on. I even read the TV Guide from cover-to-cover every week. My allowance often went to a Slurpee and the latest Mad or Cracked magazine. In high school I did most of my book buying on field trips. For some reason we usually ended up lunching at a local mall whenever we’d leave town. I’d spend some of my lunch funds on a paperback in whatever bookstore the mall had. I also borrowed books from my friends and would devour them in short order (nom nom nom…). So, basically, I didn’t have a lot but I read the snot out of everything I could get my hands on. When I graduated high school, I had some idle thoughts of being a Writer™. But, until then, I thought working in a bookstore or in a library would be pretty nice. Think of all the books! And since then I have both worked in a bookstore (Barnes & Noble for a year and half) and in libraries (in various capacities for the past 15 years). So, books. Yeah–you could say I dig them. I didn’t get onto the Buffy the Vampire Slayer bandwagon until all of the seasons were out on DVD. Sure, I thought the movie was goofy fun, but I wasn’t sure about a whole TV series. While it was on the air I wasn’t really in a position to watch a lot of TV–college work, pizza delivery job, no cable access, etc. Later I was in my full-time job, no cable access, going to graduate school mode. But I’m so glad I got into later. I LOVE that show. I think I’ve watched every single episode at least 4-5 times. The universe Joss created, the snappy dialog, the comedy/pathos combination, the wit…all of it. It completely sucked me in–still does. Then Firefly. Once again, I didn’t get on board until the DVD set came out (I haven’t watched television with any regularity in about 15 years). Man, but I was blown away. Still am.What he did with 12 episodes lesser writers dream about doing with a complete season. Then Serenity came out and I was just ecstatic! Mal and Company on the Big Screen! Yes! Science fiction was actually made fun again! Now I have a “Browncoat” sticker on my car, various Firefly paraphernalia around my house and have been running a fairly successful Serenity RPG campaign for about the past year now. You can’t take the sky from me, dohn ma? I dug Dollhouse, but didn’t get as into it as Buffy or Firefly. Still good stuff though. Love, love, LOVED Dr. Horrible’s Sing-Along Blog (I even dressed up as Captain Hammer for Halloween). I love his creativity, his ideas, the way his writing is as hook-heavy as a great rock band. I love the way he creates interesting characters that you care deeply about and isn’t afraid to break conventions. 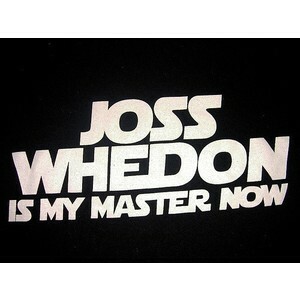 So thanks, Joss Whedon. For all the joy and inspiration you’ve brought to this fanboy’s life. 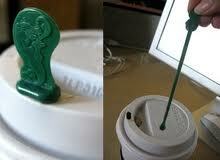 You know that little green dipstick they stick in the hole of your Starbucks cup? The plug that keeps the overfilled cup from sloshing onto the console of your car as you tear out of the drive-thru? I don’t know who invented that but they were a friggin GENIUS. I thank you and my car’s console thanks you. I love my new hometown. It’s got that weird college town vibe, like Austin and Portland but also that purely Texan vibe that can only come from a rural town. It’s little bit country, a little bit rock-n-roll, and whole lot of unique. I love the Jupiter House coffee shop, with all its bohemian charm. The square with its nightly entertainments. Abbey Inn and its selection of foreign beers. TWU and UNT–I took the Denton two-fer and got a BA in English at the latter and a Masters of Library Science at the former. 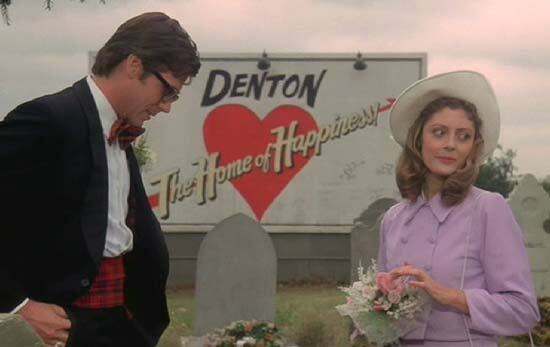 I also love how it is connected to the Dallas-Fort Worth “metroplex” but without being a part of it. So I’m thankful for my little piece of home in the fabled “Home of Happiness”. I’m a professional librarian–have been since I got my shiny degree to prove it in 2003. 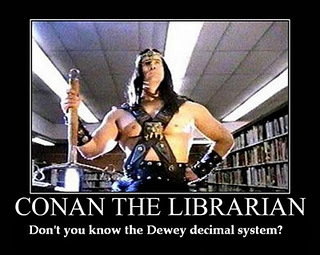 I have worked in libraries since 1996. So I guess it’s a no-brainer that I think they are important. My first love in LibraryWorld™ is the public library. That’s where I got my start and I truly believe that they are intrinsic thread to the fabric of democracy. See–if it weren’t for libraries I wouldn’t have access to dictionaries to learn all this high-falutin’ talk. But in all seriousness, the library as a public institution is so important to individuals, to communities, and to the country as a whole. People can learn valuable skills. Look for jobs. Research opportunities. Learn for learning’s sake. Make informed decisions about political issues and candidates. Bolster their own beliefs or challenge them. Draw from the collected inspiration of hundreds of different authors and ideas. And, heaven forfend, escape a little bit into a fantasy, for just a little while, and let the mind roam free for a time. All of this is made possible to anyone–ANYONE–who walks in the door of their local public library. Regardless of race, color, creed, religion, sexual orientation, fashion sense, socioeconomic class, sports affiliation, or stance on the use of racoons as a fuel source. ANYONE. Which is why it makes me angry when politicians want to “make libraries more like a business”. Or they want to cut vital services, thinking that the services a library provides are indulgent luxuries. They shortsightedly forget that it is these services that are so important to revitalizing a sagging economy. That it is the fact that there are libraries providing these services that ensure that our foundations do not crack under the burden of hard times. That “privatizing” library services, or letting businesses do the work of a public institution, ensure that the services are not provided with equality of access but only to those that can afford them. 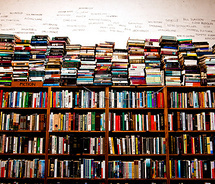 The point of a public library is that it is public; it is the great equalizer in our society. Its sacred duty of providing equitable access should never, ever be impeded. Thanks, well, for being so full of bacony goodness. Baconocity. Profoundly baconalian. Everything is just better with bacon. It’s not just me saying it…it’s science! If I have to explain this one, you’ll never understand…. I find it hard to be patriotic these days in America, mostly because the adherents of one particular political ideology seem to think they have the monopoly on love of country, equating that love with fervent demonstration. So if I were to be overly demonstrative of my love of country, I fear that it will be assumed that I adhere to their ideology–and I do not. 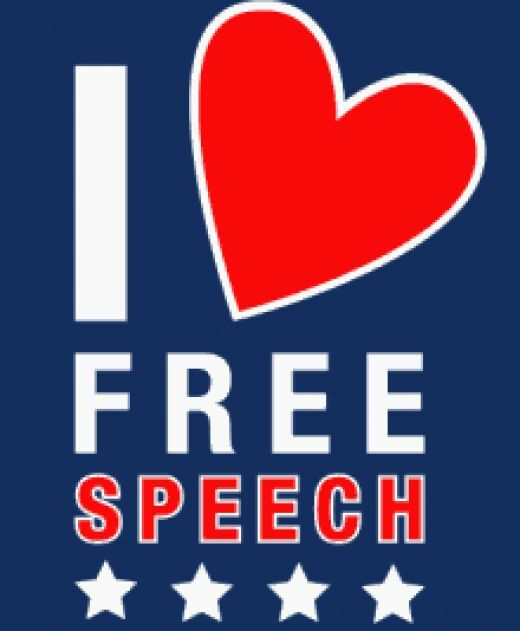 Especially when my dissent from that ideology is my demonstration of that love. And I think that’s a shame, because I do love my country. I love the freedom I have to get on my blog and say what I want without worry that someone is going to come along and pull the plug on it based on what I say about whom and when (damn you anti-racoon-fuel activists!). The ability I have to express my opinion on subjects–or to not express my opinion on subjects–as I see fit. To not practice any religion and to not have one yoked upon me (At least, not by my government at any rate. Society has yet to catch up…). This past year we’ve seen several nations rise up and seize such freedoms–and at great cost to themselves and their families, neighbors, and friends. They seized what we take for granted as our birthright. So I am eternally thankful that freedom is my birthright, though I must still stand up and use it in order to keep it. I must always bear in mind that while I am born to it, it can never be a foregone conclusion that I will always have it. Whew! This was a long one. But I believe I am finally caught up on the thankfulness–at least until tomorrow. Thanks for hanging around on this one…I’ll try not to go on so long next time! This entry was posted in Ramblings and tagged bacon, books, denton, freedom, joss whedon, libraries, starbucks, thanksgiving. Bookmark the permalink.